WordPress is vast and its capacities seem to be growing with every update. Now as wee throw a look back at the first version of WordPress we see how massive the evolution of WordPress has been since its inception. Its first version included a fairly limited admin interface and post editor, several templates, and was able to generate XHTML 1.1 compliant templates. 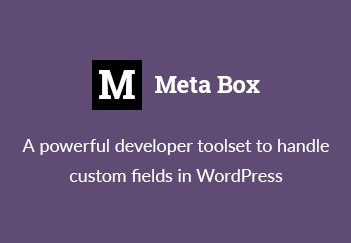 Over years, new capacities and functionalities emerged, which now make up the WordPress of the present, including support for plugins, powerful theme customizer, media manager, audio and video support, social media integration, and other great stuff. WordPress now also partners with Google, allowing us to integrate all the essential Google services to our WordPress sites. There is a pretty impressive number of plugins out there offering Google integration, yet only a few of them are distinguished by quality and functionality. I’ve handpicked 10 best plugins for Google services that would further power up your blog and help you post and publish with ease. This WordPress Google Analytics plugin allows you to access all of your GA reports, including AdSense, AdWords, and E-commerce sales stats without leaving your WordPress dashboard. It’s the official partner of Google Analytics Technology Partners Program and has the most advanced reporting functionality with custom settings and adjustments. You can create custom reports to get statistics on the metrics and dimensions most crucial for your website and enable the tracking of custom dimensions to get reports for logged in users, authors, post types, and categories. Also, you can track targeted activities by setting and managing various goals. As soon as those activities are accomplished you’ll be notified about it via email. Any unwanted data can be filtered out from the reports which include specific users, roles, cities, regions, IP addresses, etc. The reports are truly comprehensive and are possible to export to various file formats, or email to multiple recipients. Google Map WD is the most intuitive, user-friendly and feature-packed plugin for creating and editing an unlimited number of Google maps. With its live preview functionality, it allows you to quickly create responsive maps with all the essential Google maps types, layers, overlays, and apply unique map themes and skins to them. The WordPress Google Maps plugin comes with a built-in icon maker that you can use to create custom markers with animations, descriptions, images, and links. It also comes with a store locator functionality that lets you pinpoint various markers within a specified radius. You can use its get directions feature to suggest walking, driving, bicycling and transit routes to specific destinations and locations. Other of its great features include but are not limited to advanced marker listing options, user geolocation functionality, Google map widget, etc. GTranslate plugin enables you to translate your website into over 100 languages and reach out to every single WordPress user not speaking your language. It basically uses Google translate automatic translation service to translate it to a number of languages. You can choose between the available styles for the translation widget, manually correct translations, enable mouse hover effects, hide “Suggest better translation” pop-up,etc. The plugin is super fast and will translate your website content on the fly. Easy Google Fonts plugin is one of the most popular typography plugins out there. It adds all the available Google font families and styles to your website and doesn’t require any coding skill or complicated configurations. The plugin perfectly integrates with WordPress customizer and allows you to see all the typography changes you make in real time. The best thing about it, however, is that it supports automatic background updates, which means that your sites font database will include new Google fonts as soon as Google updates its directory. With this super cool WordPress plugin, you can replace the default searching functionality of your site with a more powerful search engine that’s powered by Google. It comes with lots of customization settings and makes sure you provide the most relevant search results to your visitors. You can choose to display the results on the searching page or with the pop-up window on the sidebar. Also, you can adjust searching options and set the plugin to search either only on your own site or on other sites as well. The search box can be displayed as a widget on the sidebars and can be customized with the preferred colors and styles. This is yet another super WordPress plugin to help you generate an XML sitemap for your website that Google will love. The plugin makes it easier for search engines to crawl and retrieve your website, as it supports all kind of WordPress generated pages, including custom URLs. One of its best features is that it immediately notifies search engines about the new posts or pages you add to your website. Google Drive Embedder gives you access to all of your Google drive documents and allows you to easily embed them into any of your posts or pages. There are various ways to display the docs. They can be embedded in line using Google’s interactive viewer directly from the pop-up box, or you can place them as links which your visitors can either download or open as editable files. The plugin comes with different document sharing settings which you can adjust according to your needs. It’s the official AdSense plugin offered by Google, which provides support for Webmaster tools as well. The plugin makes it super easy to insert ads on your website, which you’d otherwise have to do manually. However, you can manually insert the ads to the locations you prefer,choose ad layouts, and exclude specific pages of having ads on them. The plugin supports mobile-specific ads and allows you to easily manage them with its point-and-click interface.Just adjust the plugin settings and make money from the ads. Google Forms plugin lets you embed published public Google forms to any of your posts and pages, or display them in a widget anywhere on your website. You can literally embed all sorts of forms, which your visitors can complete and submit right on your website. This is a great way to easily run surveys, questionnaires, and collect any information from visitors. These are the best WordPress plugins that you can use to integrate Google services into your website. All of them are extremely feature-packed, yet are distinguished with ease of use and simplicity. I tried and tested them personally, so I guarantee you the best practices. If you have other plugins in mind, that you think I missed out, please feel free to suggest them in the comments below. Gayane Mar is the founder of WPCapitan.com, a WordPress enthusiast, and blogger. She is a contributing author to a plenty of well-knownWordPress related blogs and enjoys sharing her experience to help people with WordPress. How to open WordPress menus in a new tab?